To celebrate Big Brown Bear's special day, his friend Rat has planned a lovely picnic on the riverbank. All is going swimmingly, complete with cucumber sandwiches, warm sunshine, and even a surprise gift from Rat. But when Big Brown Bear is suddenly distracted by an empty boat floating past on the river, Rat's plans for the afternoon take a watery turn. 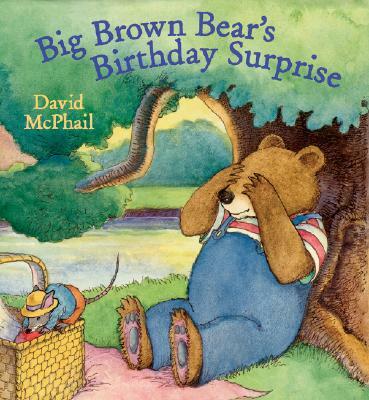 David McPhail throws Big Brown Bear a birthday party like no other in this warmhearted picture book that serves up action, excitement, and a generous portion of true good-natured friendship.